Helping children and teens understand the Bible and what God wants them to do with the commands and principles in it are crucial tasks of Bible class volunteer teachers. Yet, we do little to train them on how children learn best. It’s important to understand the human brain and what we can do to insure our young people are not only learning, but also retaining and using the information we teach them from the Bible. Most of the books I suggest you read are meant for consumers. They are helpful, but not particularly difficult to read or understand. Today, I really want to encourage you to read what is basically a college textbook. While it may be a little more dry and complex than our normal suggestions, the information in it is crucial for Christian teachers to consider. 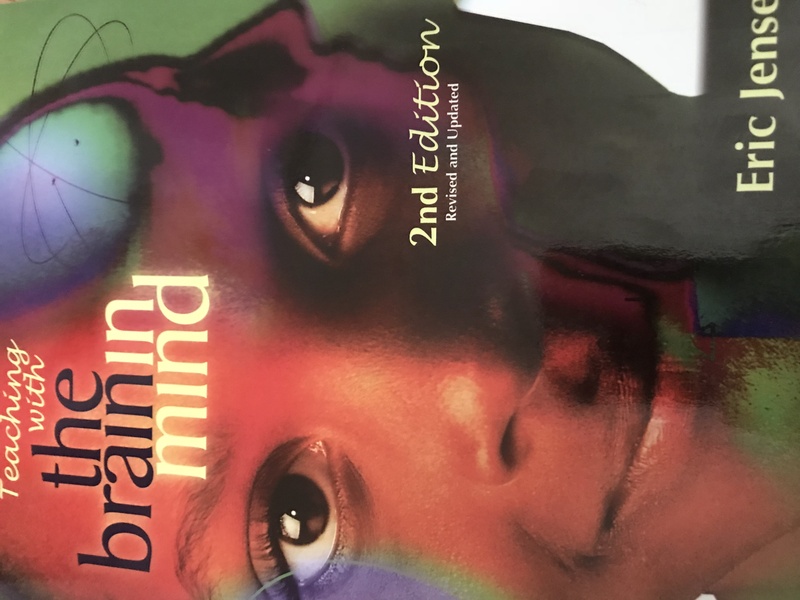 Teaching With the Brain In Mind by Eric Jensen is on the must read lists of many educators. It’s easy to understand why as you begin reading the wealth of helpful information in its less than 160 pages of actual text. I often mark helpful passages in books with small sticky notes to find them more easily later. Even with my background in education, I found myself reaching for my pad of sticky notes multiple times. If you are a professional educator, this book is a great reminder of some important principles – or may correct some things you were taught incorrectly. Modern scanning equipment has allowed researchers to confirm and debunk some previous theories on how brains – especially those of children – work. If you are a volunteer teacher, without a degree in education, you will find this book extremely helpful. There is some scientific data in the book, but much of it is how to take those principles and apply them to your students – helping them to really learn those important spiritual concepts in ways that will aide them throughout life. Some of the information must be adapted slightly because of the limited amount of time we often have to teach our students. Others can be used with a little extra creativity on our parts. Topics like the best repetition intervals for long term memory of important material should be something all Bible school programs begin discussing immediately. Why are we missing opportunities like these to improve student retention of critical Bible principles, when it is relatively easy to implement? Some of you may need to take some time to digest the information in this book. Even those who may know some of this material will need time to figure out how to adapt the principles successfully in the average Bible class. There is quite a bit of information in this book to consider. I really believe though that incorporating more of these basic principles into how we teach students the Bible, could improve their long term knowledge base and understanding (implementation is another issue of course!). It’s something we need to carefully examine and implement if we are really serious about increasing the amount of Bible knowledge and understanding the average young person gets before going to college.